I came to Hawaii for numerous reasons, but one of them is because my parents retired from a business that they owned for 13 years. My earliest childhood memory was when I was living in Concord, California at the age of four. During that time, when my father got off work, we would go to a nearby lake and feed geese. Unfortunately, I would run out of bread and thus, the outcome was horrendous. I would be chased for miles around the lake as my father would hysterically laugh until the geese would give up exerting too much energy while running. One of my biggest fears is the dark in certain cases. The fear of darkness becomes prominent when I am at home with no one by my side. When it gets dark, I almost always close the blinds, so the dark doesn’t peer through the windows. In one word, my parents would describe me as independent. I have one dog that is a Cavalier King Charles Spaniel named Ruby. My definition of “happiness” is being able to be yourself and appreciate your surroundings without including certain materialistic objects such as money. I don’t have a prominent phobia, but I dislike spiders. When I search for my spouse in the future, I will not look for certain physical features. However, I do desire for a husband that is intelligent, respectful, creative, kind, goal-oriented, and someone that shares the same interests as me. One of my favorite movies is She’s the Man. I am not really one to read many novels, but one author that I do admire is John Green. I enjoy writing because it is a way of expressing emotion. I can speak a little bit of Spanish and Japanese. One of my favorite songs is “Imagine” by John Lennon. My favorite music artist is Childish Gambino. I enjoy social media in some ways because it’s a great way to connect with friends. Yet, I despise how teenagers abuse it by cyberbullying others or by creating a fake profile for revenge. One of my idiosyncrasies include having everything neat and organized. At times families get distracted, but in the end families do find time for each other. 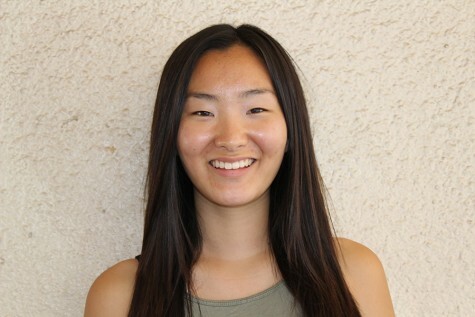 Senior Sarah Kim was one person who has witnessed that kind of distraction, but as of right now she is much happier. Her and her parents were never in a bad blood kind of situation. It was just that her father was in the military and her mom was following her dream of culinary. Sarah was left with her grandmother and sister. Her father was part of the U.S army and her mother was working at a restaurant named Yoshi's. The three would soon become two when her sister would leave for college and it would just be her and her grandmother. Even after seeing her sister leave for college, her loving grandmother would not let Sarah frown. Sarah would still have fun with her grandmother until she had to leave. Sarah would have to say goodbye to her grandmother, after her grandmother had an argument with her father. At one point Sarah would have to go to japan alone at the young age of 11. Sarah’s grandmother is now in a old folks home, Sarah’s auntie looks after her grandmother. In California her and her parents owned a restaurant, but sold it to be able to come to Hawaii to have more family time.